We already enjoy the huge benefits that the digital world brings to our daily life from smart phones to smart cars. Dentistry is no exception to this advancement. Digital dentistry is opening doors to a far better level of care to our patients. At ‘The Whitebridge Clinic’ we take great pride in delivering the best level of dental care possible. We keep up to date with the latest advances in dentistry so that our patients get the best dental treatment. 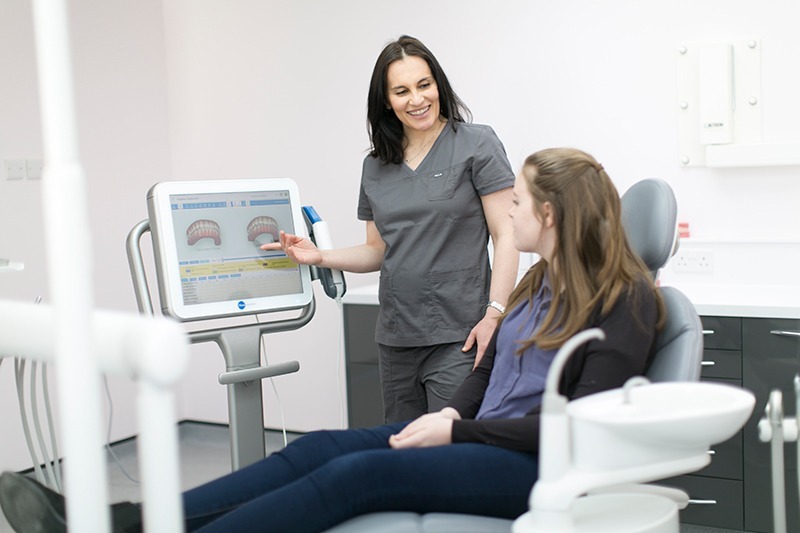 We use Trios 3 Shape equipment that takes thousands of photos of the teeth and stitches them together to create a 3D digital model of your top and bottom teeth and how you bite together. We can use this to show our patients exactly what we are looking at, so it all just makes sense. This image is then emailed across to the laboratory for construction of dental work we planned or it is kept on file for us to have a digital record of your teeth should we need it in the future. Come in and ask us how we can help you get the most out of your dental experience. What to do if unhappy with a smile? Dear readers, as many of you are aware a healthy smile speaks volumes and it is at the center of our social interactions. In this issue we will discuss how you can keep the sparkle of your natural smile looking young for longer. First we must better understand what can harm our teeth in the first place and how to make small simple changes that will reap the biggest rewards. Mouthwash gives you added protection and is great to use after lunch or snacks. Avoid mouthwash straight after brushing though! These have harmful chemicals that affect your gums. It causes bad breath, staining and tooth loss. Keep alcohol to a minimum. The major risk with alcohol and compounded by smoking is oral cancer. Some alcohol can be acidic and cause erosion. Try to drink through a straw and have some water to drink afterwards. These are fizzy/sweet drinks , desserts and flavoured yoghurts. There is a lot of hidden sugar in foods you would not consider as being bad for teeth. Yoghurts and flavoured water have quite a lot of sugar in them. Best to consume plain water or plain yoghurts and you can add your own fruit or juice to it. Avoid brushing teeth straight after eating something sweet or acidic. Looking after our teeth so that they last us well into our old age has never been more important. If we can’t eat properly, we can’t look after ourselves properly and this can have a dramatic effect on our wellbeing. As we get older it can become more difficult to visit the dentist because of ill health, mobility issues, having to rely on lifts from other people and the worry of the visits themselves. But we would like to stress the importance of visiting your dentist at least once a year, preferably twice – even if you have no natural teeth of your own left. During our dental health checks we carry out mouth cancer screening. Mouth cancer is twice as common in men than women and 86% of cases are diagnosed in those aged over 50. Smokers and drinkers are particularly at risk. We believe that dental hygiene is one of the most important services we offer. Dentists treat disease but hygienists help prevent it from starting in the first place. This is especially important as gum disease has been linked to many serious illnesses, including heart disease, bacterial lung infections, strokes, diabetes and dementia. If you haven’t already, please book your essential dental and hygiene appointments by calling us today. At The White Bridge Clinic, we have introduced a membership dental plan for all our patients, called Teeth for Life. This plan encourages regular dental appointments resulting in you saving money on your dental treatments, by enabling early detection of dental problems. 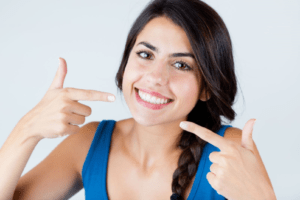 How can the Teeth for Life payment plan benefit me? The membership plan consists of a monthly payment which covers you for all your maintenance needs. This includes dental examinations, dental hygiene appointments, routine appointments, fluoride varnish application and much more. The Teeth for Life plan recommends and covers you for six monthly dental examinations. This allows for dental disease, including oral cancer, and dental risk factors to be detected at an early stage, often before the dental pain begins. We take time to ensure our patient leave our practice with dental advice to maintain healthy teeth and gums. Therefore, if treatment is necessary it can be treated more simply, avoiding complex dental procedures and costs. We recommend two to four hygienist appointments per year on the plan. The actual interval is decided upon assessing your personal risk factors and requirements. Clinical studies and personal experience demonstrate that if you visit the hygienist regularly you are more likely maintain a higher level of oral care on a daily basis at home. Hygienists offer support to your dental hygiene regimes and will often direct you to the areas in your mouth which may require more attention. This will lower your risk factors for gum and dental disease, meaning you will need less dental treatment requirements in the future. Early detection of dental disease, through regular examinations and routine radiographs, allows for minimally invasive dentistry to be performed. Minimally invasive dentistry is also known as micro dentistry. In order to preserve your teeth and gums for as long as possible, it is important not to be invasive when treating teeth. 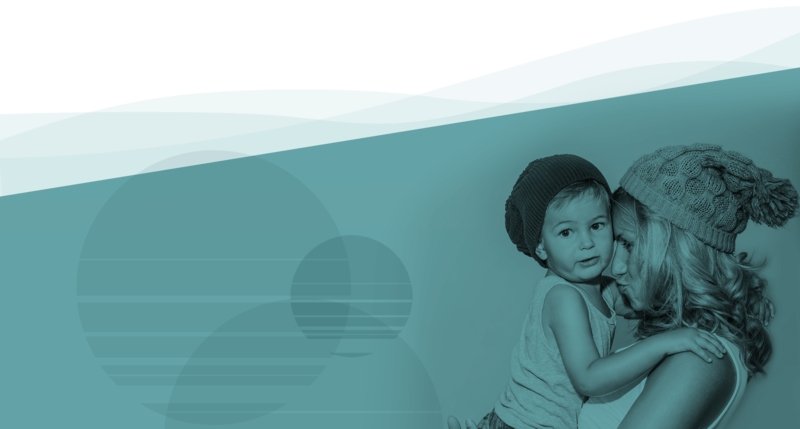 The Teeth for Life plan also includes a complimentary worldwide dental emergency assistance scheme. We hope you never need to use this; however, should there be dental emergency out of clinical hours or whilst you are away from home the plan may help reimburse some of the cost for remedial dental work. In summary, committing to regular visits as a The White Bridge Clinic member early detection of the dental disease means less invasive treatments, lower costs and longer-term retention of your teeth. If you think this would benefit you and your family please contact us on 01865 951861.